Check your passport validity to ensure that it is valid for the entire time that you will be requesting upon your return to the US: Many times individuals do not check the validity of their passport before going abroad. 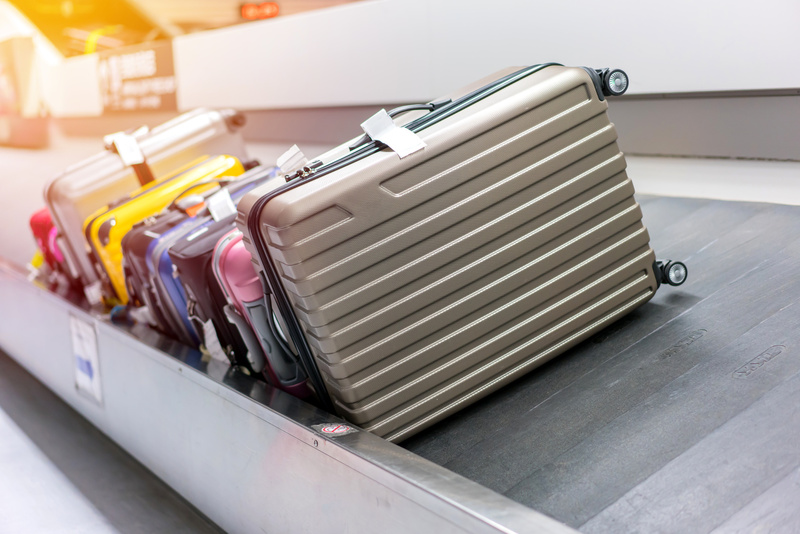 This can result in Customs and Border Protection (CBP) admitting you for a shorter period of time upon your return to the U.S., as CBP cannot admit you for a period that exceeds the validity of your passport. Keep in mind that your passport should be valid at least 6 months beyond the date of your requested length of stay in the U.S. Having a passport that is valid for less time than what you are requesting can result in being admitted for less time and therefore having to either file an extension sooner or departing the US sooner. Check your passport to ensure that you have a valid visa to return to the US: Most individuals with temporary status in the U.S., except for Canadians, must have a valid visa stamp in their passport prior to returning to the U.S. If you will obtain a new visa stamp while abroad, don’t wait until your last few days to apply. Schedule your appointment with a U.S. Embassy or Consulate at the beginning of your trip, in case of delays. Also be sure to contact your immigration attorney several weeks in advance of your travel to obtain instructions and the documentation necessary for the visa stamping process. Returning to the US without a valid visa may result in your admission being denied or having to pay a penalty before being admitted without a visa. Ensure you have the proper documentation to enter in your requested status: Sometimes we receive calls from individuals who have been admitted in the wrong status or based on an approval notice from a previous employer. This is often because the individual presented all of his or her previous approval notices to the CBP officer, who then choses under which approval to admit that individual. To avoid this situation, be sure to only present the most recent I-797 approval notice from your current employer or the documents related only to the status that you are requesting. Being admitted pursuant to the wrong approval notice or in the wrong status can have serious long term impact on your status and may be difficult to correct. Be sure to check admission stamps in your passport and your I-94 record online so you know how much time you have to remain in the US legally: When an individual enters the US pursuant to a temporary status, the CBP officer places a stamp in the individual’s passport that indicates the expiration of his or her status. The CBP officer also enters that expiration date into an online database at: https://i94.cbp.dhs.gov. This I-94 record and entry stamp are key to maintaining lawful status in the U.S. Check your passport entry stamp before leaving the CBP immigration inspection point to make sure that you were admitted for the period of time you requested and to understand how much time you have to remain legally in the US. Be sure to also check your electronic I-94 record at https://i94.cbp.dhs.gov once you have access to a computer to ensure that it is consistent with the information stamped in your passport. For those with a USCIS approval notice, CBP should generally admit you into the U.S. for the duration of your status on your Approval Notice, unless your passport expires sooner. If you notice that CBP did not admit you for the full duration indicated on your Approval Notice, even though your passport is valid for the period of your Approval Notice, request to speak with a supervisor to correct the issue. If you find a mistake on your electronic I-94 record, contact your immigration attorney right away. Do not make the mistake of overlooking these dates, as they determine how much time you have to remain in the US legally. Remaining in the US beyond your most recent I-94 record may result in being denied an extension of status, denial of a green card, or worse. Discuss your previous criminal issues and immigration violations with an attorney, and be prepared to carry documentation related to such issues in case they arise during your return to the US: Do not travel abroad if you have been unlawfully in the U.S. for any period of time or if you have ever been convicted of any crime without first contacting your attorney. This is true for anyone in any status, including permanent residents. In some circumstances, an individual who has been unlawfully in the U.S. may be barred from reentering the U.S. for 3 or 10 years upon departure. In addition, individuals with certain criminal convictions may be denied admission to the US or be placed into removal proceedings upon their return to the U.S. Even if your criminal issues do not make you deportable or inadmissible to the US, CBP may still have questions for you regarding those convictions, and you need to be prepared to present certified court dispositions or other documents related to each arrest to help the CBP officer in their review. If you have any questions or need advice to avoid these common mistakes, please call our office to speak to a qualified immigration attorney. Safe travels!